Blessings, Miracles, &Thoughts in Between: AMP Cloth Diaper Giveaway!!!! A sweet friend of mine, Amy, is in the process of starting the cloth diapering business Beautiful Baby Gear. I wanted to help spread the word about the amazing diapers she has discovered, and now sells, so that her little business can start booming! A bit of background - Amy and I went to church together in Mandeville, LA. I also went to high school with Amy's husband Patrick! He was a star wrestler at our school! I love when my friends find success - and I love helping with that success - so I just had to work with Amy for this giveaway! Y'all know that I am not a cloth diapering momma. But, my friend Christie (who recently found out she is expecting #2) has just ventured into the world of cloth diapers! Christie was so sweet to volunteer to review the AMP diapers so y'all could learn a bit more about Amy's product! And, two lucky readers will win the AMP diaper of their choice! When I received these diapers, the first thing I noticed was how incredibly stretchy they were. Usually, cloth diapers seem to be stiff and hard to manipulate so it fits well, but the elastic at the legs caught my eye! The AMP AIO diaper was ready to go with one wash and ONE tumble in the dryer (which is amazing for an AIO diaper since the insert is built-in). The AMP duo pocket diaper was ready within one wash and dry, and I washed the bamboo inserts multiple times to achieve the highest absorbency. Finally, I was ready to try these out on my little guinea pig! I started with the AIO because I was really excited to try out a cloth diaper that is basically as convenient as a disposable diaper. As you can see, it has an incredibly trim appearance. Also, the velcro closure gave us a very snug fit around her tummy! I put her on her tummy so she could scoot around a little. Usually, with some brands of cloth diapers, I have noticed that when Cailyn moves around, the diaper bunches up and she leaks out her legs. After about an hour of playtime, the diaper was like I had just put it on. It stayed leak-free for 2 1/2 hours (that's usually the amount of time I go between changing diapers). I also can't believe how incredibly trim it was - usually I put Cailyn in a disposable when we go out because cloth diapers can get so bulky. This one was as trim as a disposable and the fact that everything is built-in was so convenient. Next, I tried the AMP Duo Diaper with bamboo insert. Most of my cloth diaper collection is made up of pocket diapers and they can be tricky at times. Between stuffing an insert and making sure it doesn't bunch up after a length of time, pocket CD's can be very challenging. Also, Cailyn tends to leak out of the legs of pocket diapers since the insert can create bulkiness in the bottom of the diaper, pulling the elastic away from her legs. The fleece lining of the AMP Duo Diaper was super soft to the touch. Also, as soon as I put it on, I noticed how snug the leg holes were to her legs, even with the bamboo insert stuffed in! It seems like the leg holes or more ruched than other cloth diapers, so that may be why they fit so much better. I let her play with it on, and this one stayed leak-free for 2.5 hours as well. I thought it was too good to be true for a pocket diaper! Although I have never heard of AMP diapers before this review, I have to say they are incredibly underrated. All-in-all, they worked well absorbency-wise, were very trim, convenient, and fit her legs perfectly. If you are looking for a new brand of CD's or are about to give up on pocket diapers because of the awkward fit some of them have, I would definitely recommend trying AMP diapers! In order to enter, and for all other entries to count, you must "Like" Beautiful Baby Gear on Facebook. Post on BBG's wall and let them know who sent you their way! You must also follow Beautiful Baby Gear's Blog in order to be eligible to win! 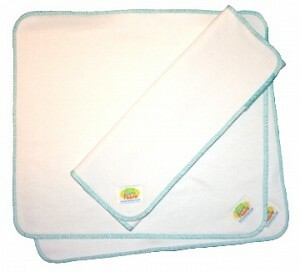 *Follow Beautiful Baby gear on Twitter and Tweet about this giveaway. Be sure to link back to this post and tag Beautiful Baby Gear in your Tweet! *For TWO additional entries, blog about this giveaway. Be sure to link back to this post as well as link to either Beautiful Baby Gears Facebook, blog, website, or Twitter! *For SIX additional entries, purchase an AMP diaper from Amy while this giveaway is going on. Let me know you have made a purchase (I will verify with Amy)! *Become a follower of We're Finally Three - or let me know that you already follow! *Become a follower of Keeping up with the Croffords or let me know that you are already a follower! Thank means you have 12 chances to win!! This giveaway will be open until Tuesday April 19 at 7pm CST. I will tally all of the entires, draw a winner and announce that night! Good luck!!!! those are really cute. and christie's baby is adorable! I just followed on facebook, followed the beautiful baby gear blog, followed "keeping up with the croffords", and I already follow you! 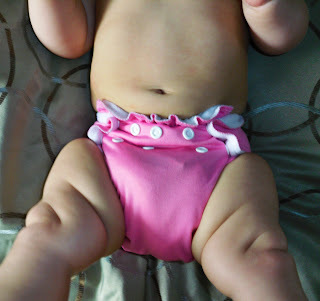 Ok, I'm nuts about diapers; I just linked you to my blog. I am following Beautiful Baby Gear's blog. I liked her page on FB as well, and follow your blog also. These look super trim. I would love to try them! I did EVERYTHING above except buy a diaper, but I hope I have a good chance of winning one now! I follow you and Christie, blogged about the giveaway, followed Beautiful Baby Gear and FB and Twitter. I am totes excited!! I need a new diaper. Hi Lindsey - I also did all of the above, except purchase a diaper. I'm always looking for new cloth diapers! I did everything listed above! I can't wait to receive the diaper I ordered and I hope I win the giveaway! I followed them on twitter, and tweeted about the giveaway. I follow your blog, and follow Kirky's blog too. I also blogged about the giveaway. I REALLY want to win this diaper, I've heard so many good things about AMP and would love to try them! :) Oh and they are so cute! I liked her on facebook page. These diapers sound great! I follow We're finally Three. I follow keeping up with the Croffords. I liked Beautiful Baby Gear on FB!! I follow Beautiful Baby Gear's Blog!! I follow Beautiful Baby Gear on Twitter!! I follow "We're Finally Three's" blog!! 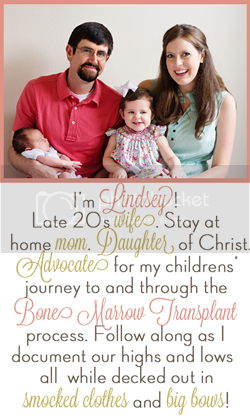 I follow "Keeping Up With The Croffords" blog!! I posted about the giveaway in my blog!! I like them of facebook and told them you sent me! I follow Keeping up with the croffords! I am a follower of Keeping up with the Croffords. I like Beautiful Baby Gear on FB and posted on the wall. I also follow the blog! Follower of We're Finally Three! Follower of Keeping up with the Croffords! I follow Keeping up with the Croffords too! 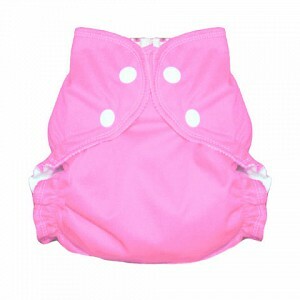 I follow Beautiful baby gear on twitter too! I follow beautiful baby gear!